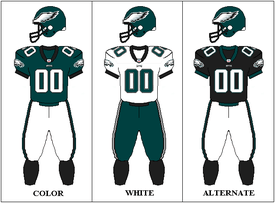 The 2000 Philadelphia Eagles season resulted in a postseason appearance. The season started in Dallas famously known for the onside kick that the Eagles kicked and recovered to start the game. This game is known as the Pickle Juice Game, as the Philadelphia players were given pickle juice by Andy Reid in order to prepare for the high temperature in Dallas that day. The 2000 NFL Draft was held April 15–16, 2000. No teams elected to claim any players in the supplemental draft that year. The draft was 7 rounds again. The Eagles held the 6th pick in the draft in the 7 rounds. They made a total of 7 selections in the draft.